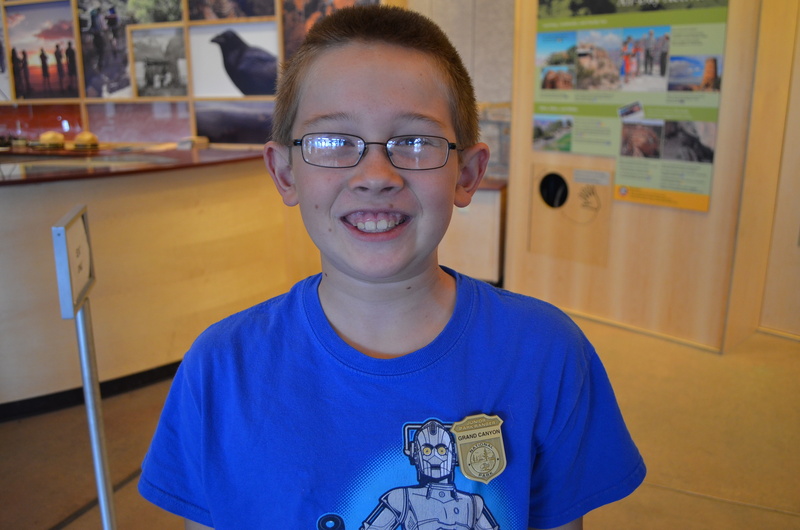 Timmy performed all the tasks to earn Junior Ranger. 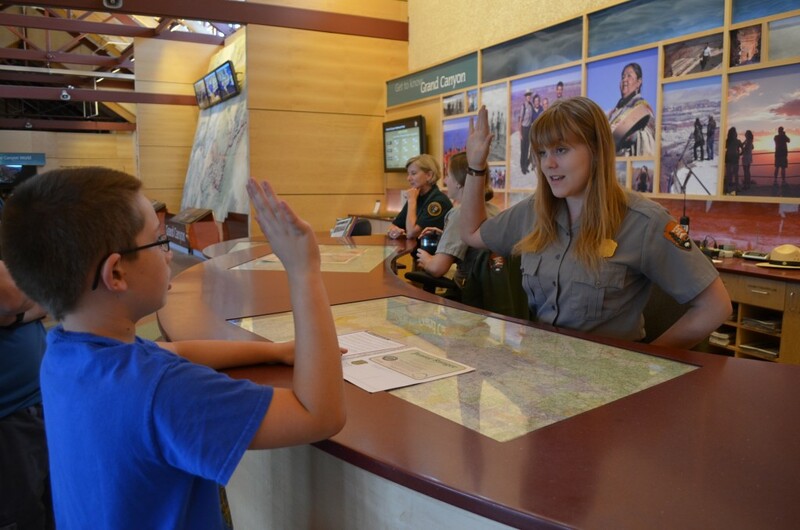 He then had to pledge to respect nature and the environment before earning his Junior Ranger badge. We did this on our way out of the park on our last day. 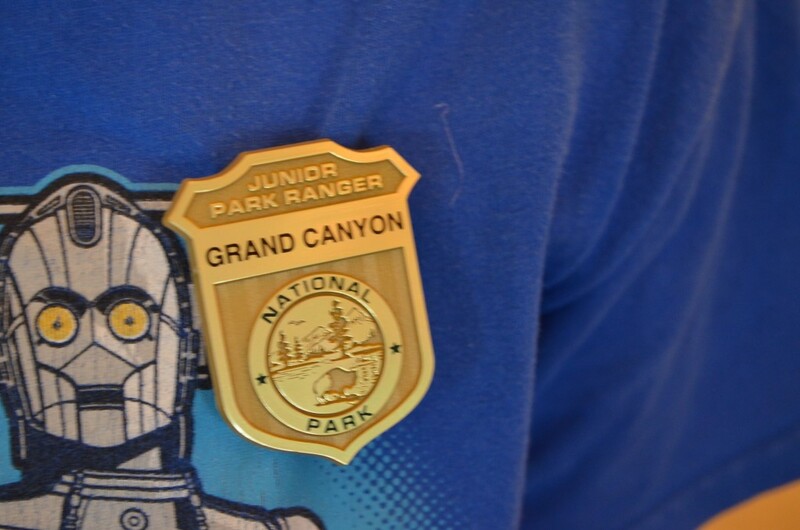 Timmy earned his first National Park Service Junior Ranger badge while we were at the Grand Canyon. He was required to complete several age-appropriate activities in a workbook (which includes things like taking observations, coloring pictures, answering questions, and writing a poem about the park), attend an age-appropriate Ranger-led program, and then take a pledge to be respectful and protect the things the National Park Service finds important: nature, the environment, and animal life. 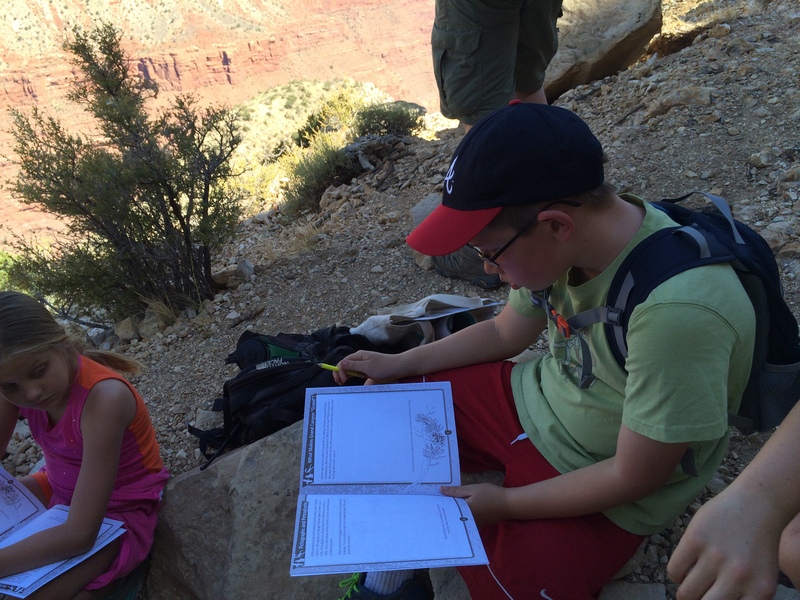 Here’s Timmy working on his activities while on the Hermit Trail, during our ranger-led program. A close up of the badge.